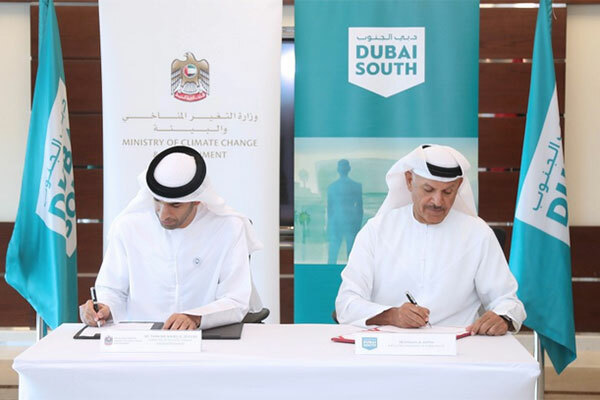 Dr Thani bin Ahmed Al Zeyoudi, Minister of Climate Change and Environment, and Khalifa Suhail Al Zaffin, executive chairman of DWC, signed the memorandum of understanding (MoU) at DWC headquarters, reported Emirates news agency Wam. Speaking on the partnership with DWC, Dr Al Zeyoudi said: "National enterprises that are based on top-notch research studies and technologies are key drivers in our efforts to diversify food sources and increase the share of food produced at home to meet the needs of the local market. Fish is an important component of our local cuisine in the UAE, and we need to make sure our fisheries and fish stocks can continue to support the growing demands of our population." Al Zaffin said: "DWC is keen to bolster cooperation with government entities to accelerate the development of the country across varied spheres. Our new collaboration with the Ministry of Climate Change and Environment will help establish aquaculture as a prosperous industry that contributes to making the UAE’s fisheries more secure and sustainable."